This is not a customary manual. These pages, dear parents, grandparents, brothers and sisters, and caregivers in general, are meant to be your traveling companion. It is Commonsense Pediatrics, rigorous in its medical approach though explained in a simple way, direct in its suggestions and prescriptions though plenty of affection in its application. It is like having your own pediatrician at home when you are in need of calm and efficient guidance. With the added plus that you count on two doctors: your pediatricians are doctors Eduard Estivill and Gonzalo Pin. It is the pediatric guide par excellence, though not only, because "commonsense" encourages us to go further: this book also reflects, in a coherent and realistic way, on the emotional aspects of the upbringing of our children, like attachment, self-esteem, values, an appropriate socialization, school, discipline, sexual education, playing, ecology, sports, out-of-school activities. This is a book based on experience, but written with heart and with a wide smile as motto. 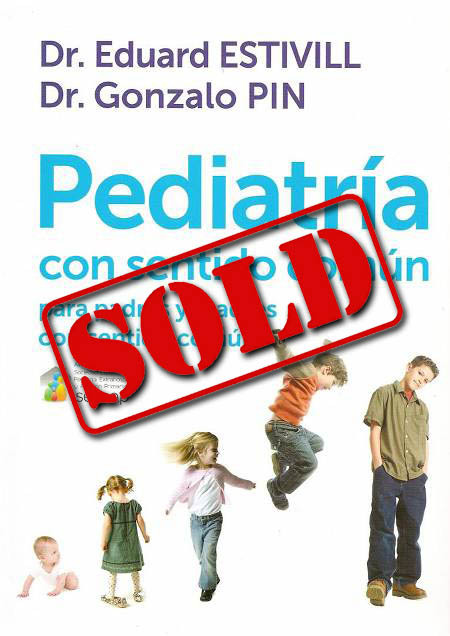 Eduard Estivill previous book Duérmete niño have sold 3,000,000 copies. And many other regional newspapers and radio broadcastings.